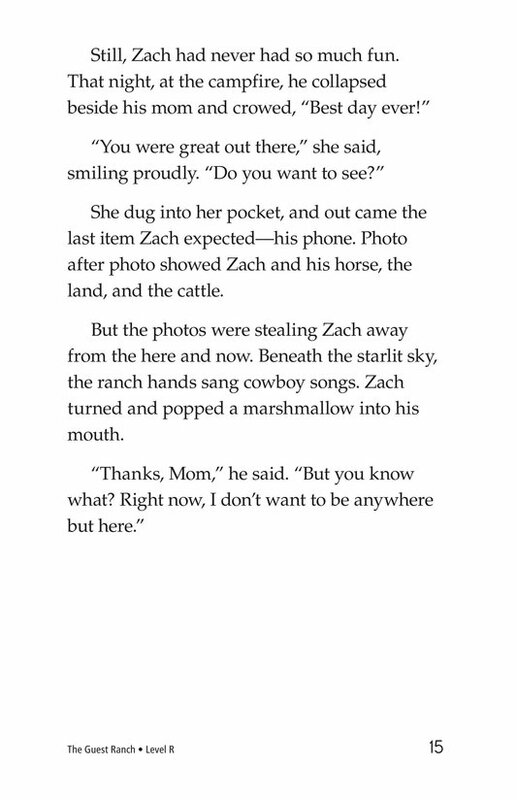 Have you ever gone to a place where you felt like you didn't fit in? 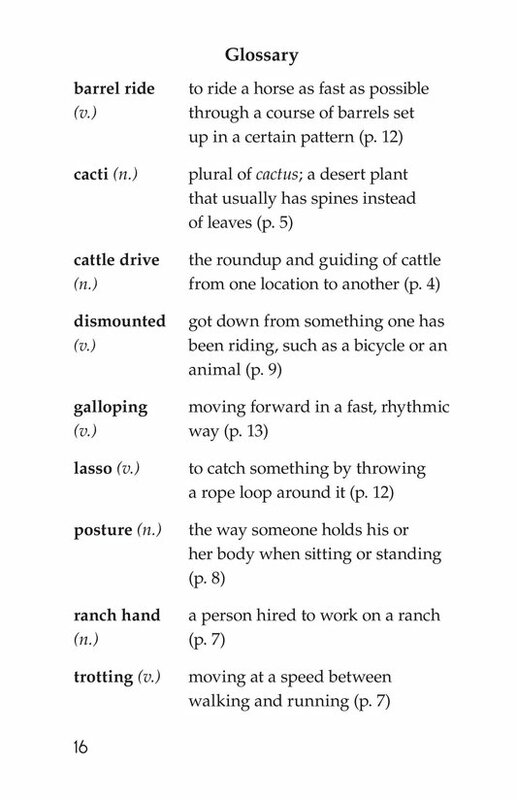 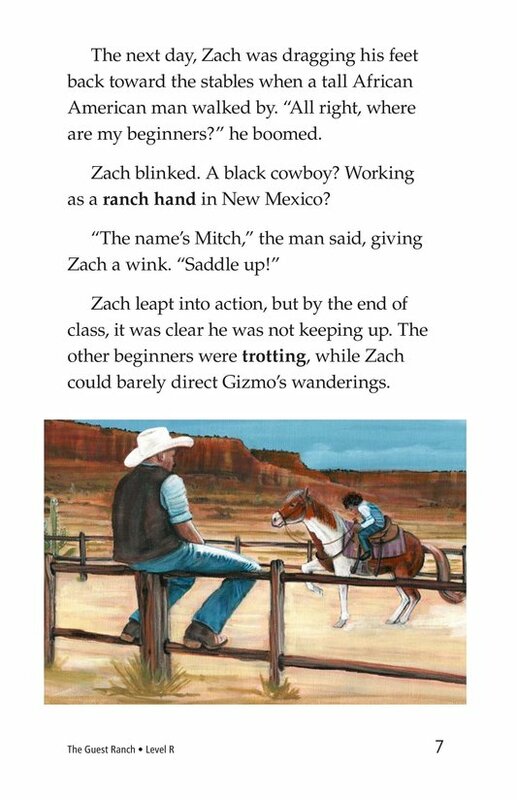 That's exactly how Zach feels in The Guest Ranch. 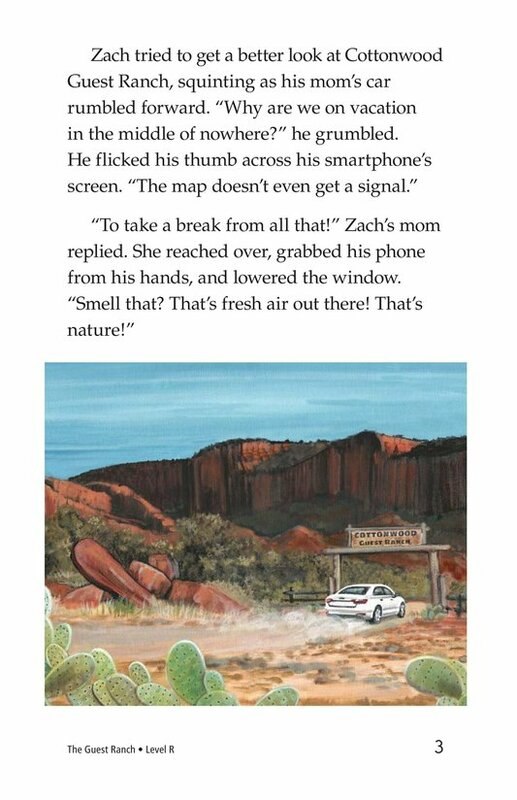 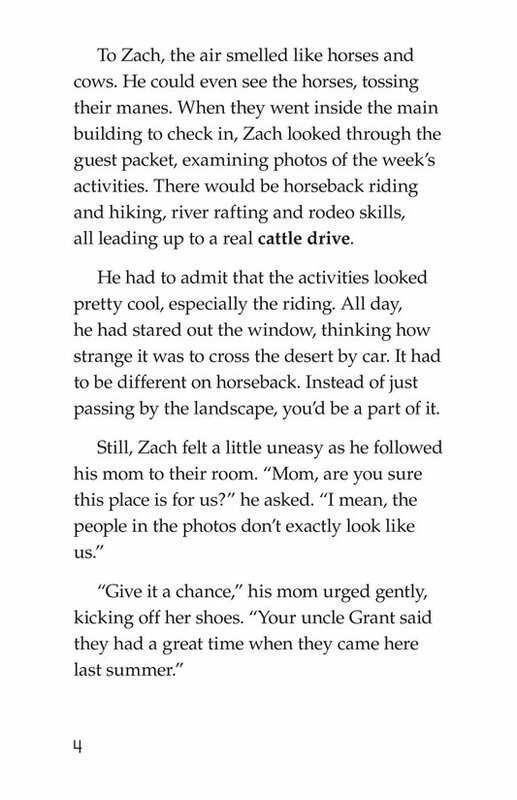 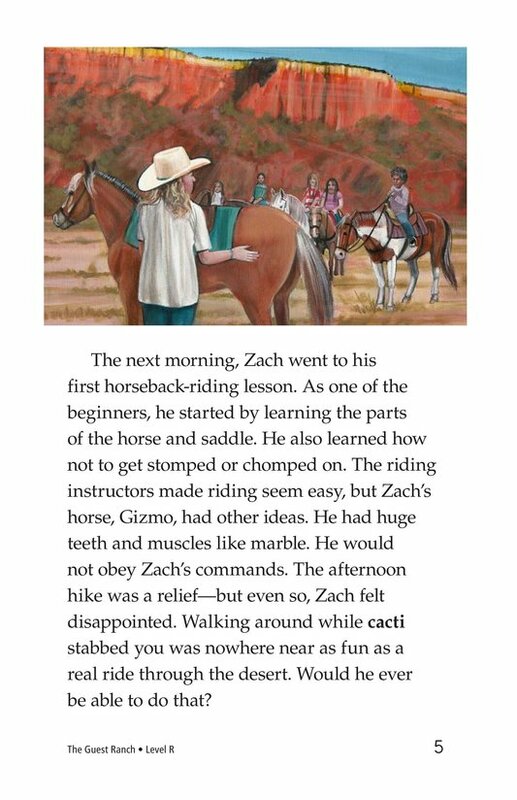 When he and his mom arrive for a vacation at Cottonwood Guest Ranch, Zach isn't sure that he can learn the skills of a cowboy. 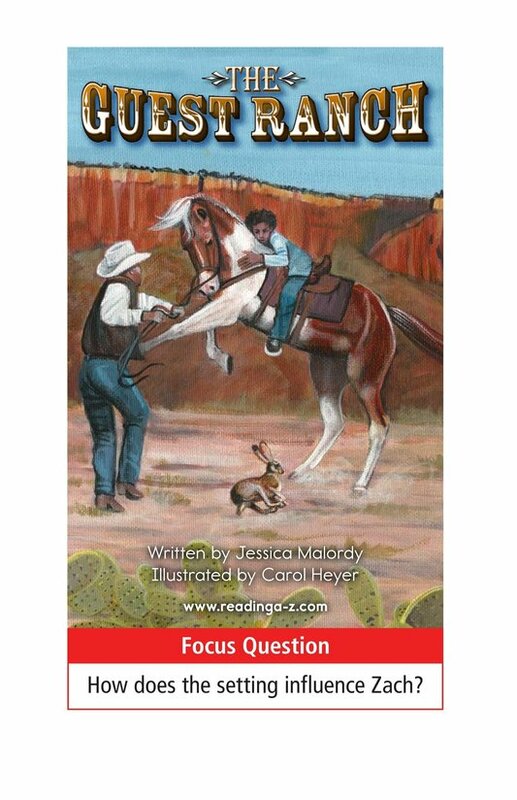 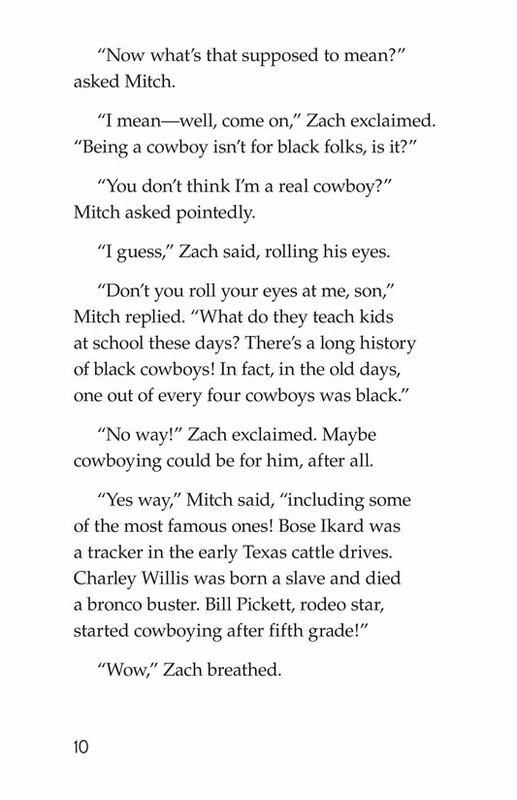 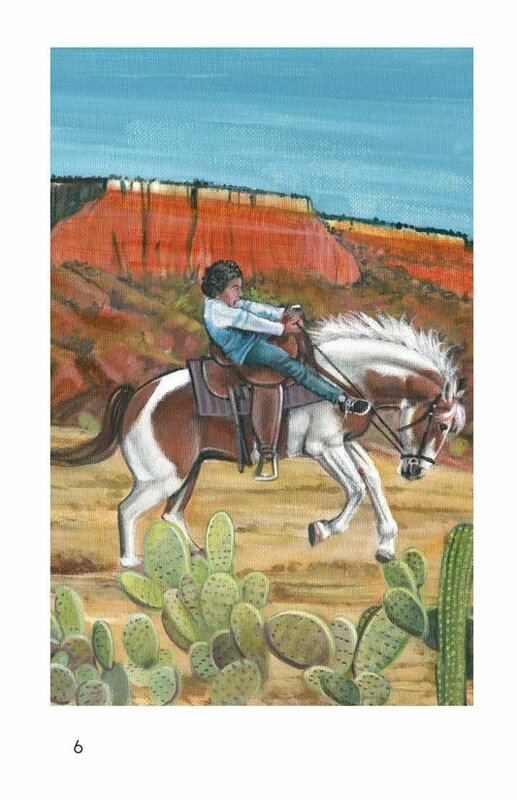 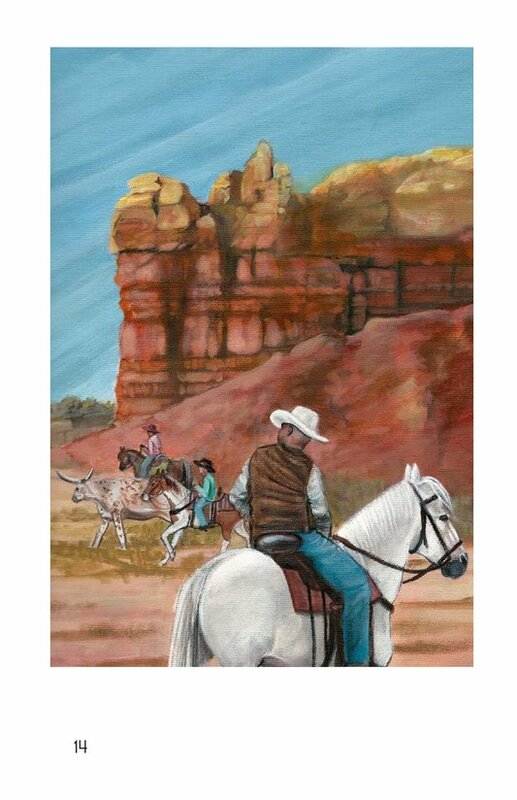 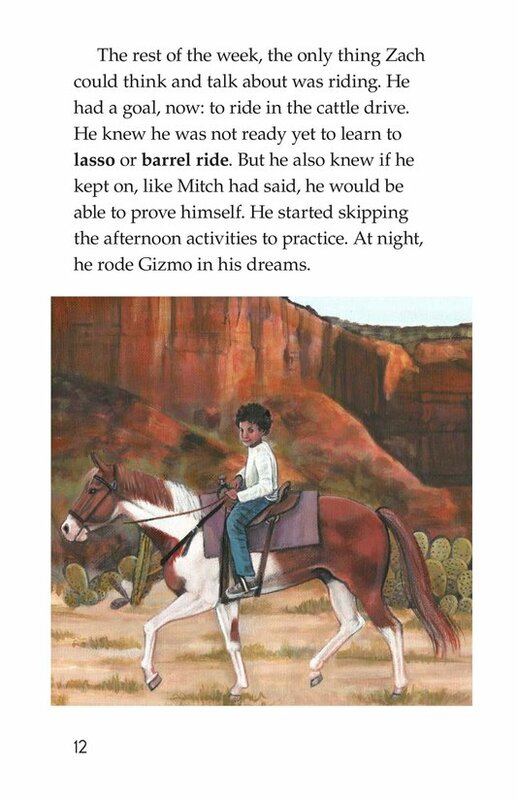 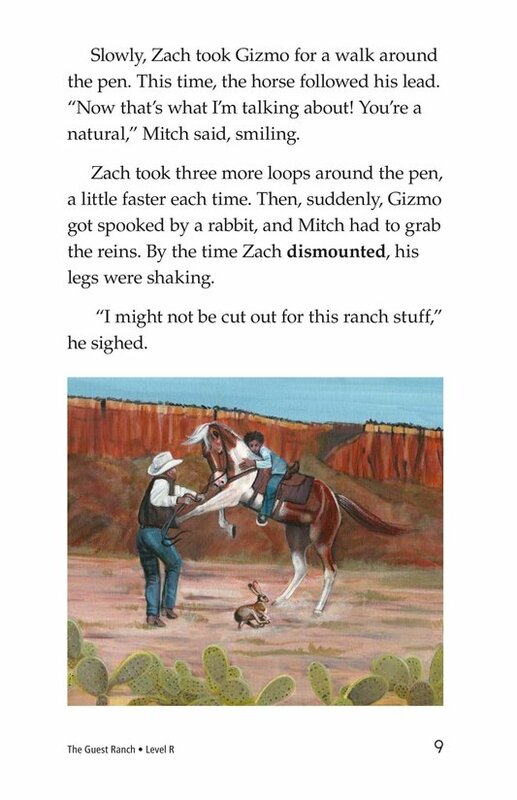 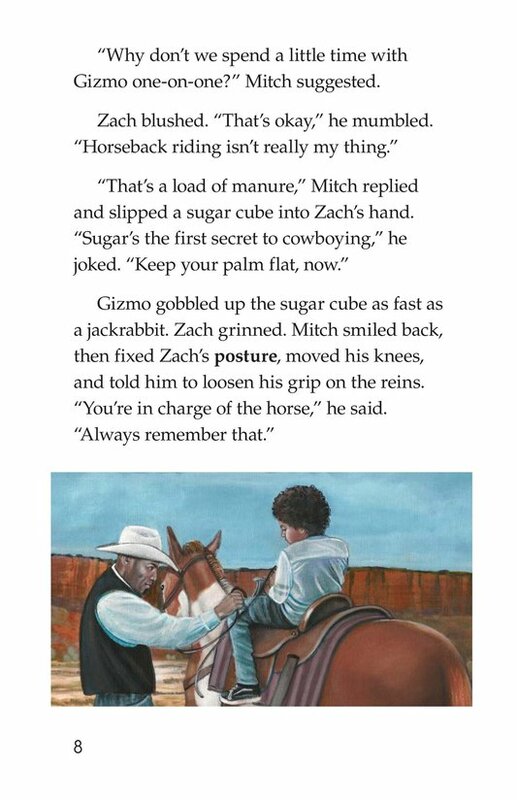 But after striking up a friendship with a seasoned ranch hand named Mitch, Zach learns some history about real African American cowboys that gives him the confidence he needs to succeed. 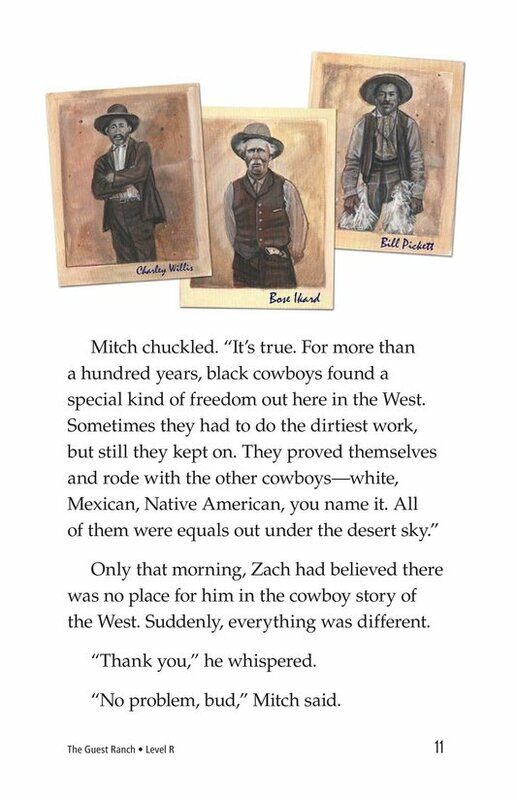 Colorful illustrations and relatable characters will keep students engaged in learning about a forgotten chapter in America's history. 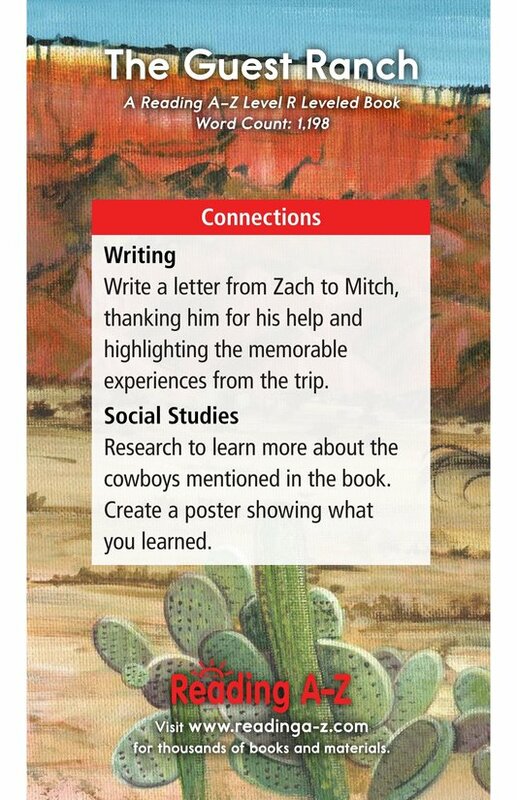 Students will also have the opportunity to make, revise, and confirm predictions as well as to analyze the setting in order to better understand the story. 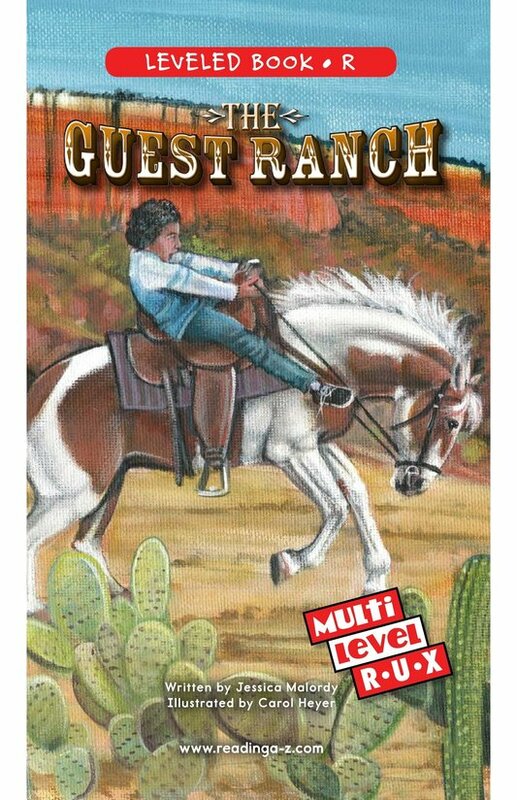 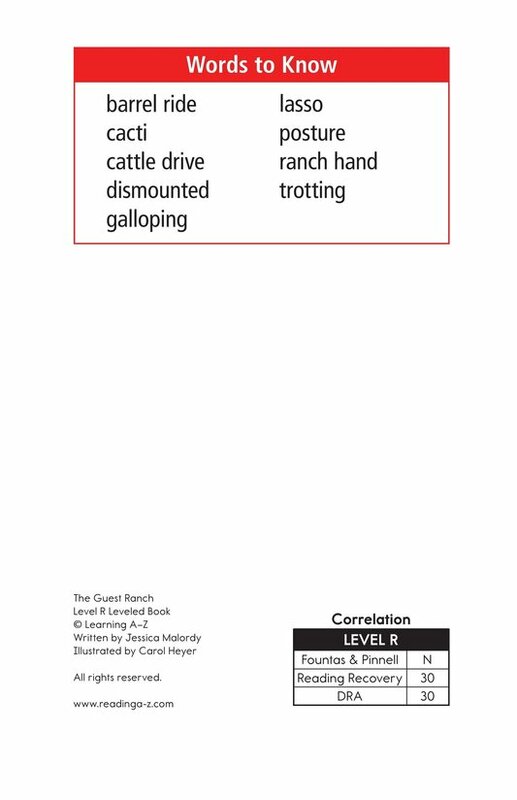 The book and lesson are also available for levels U and X.